Planned Parenthood hack: The latest in a series of attacks. 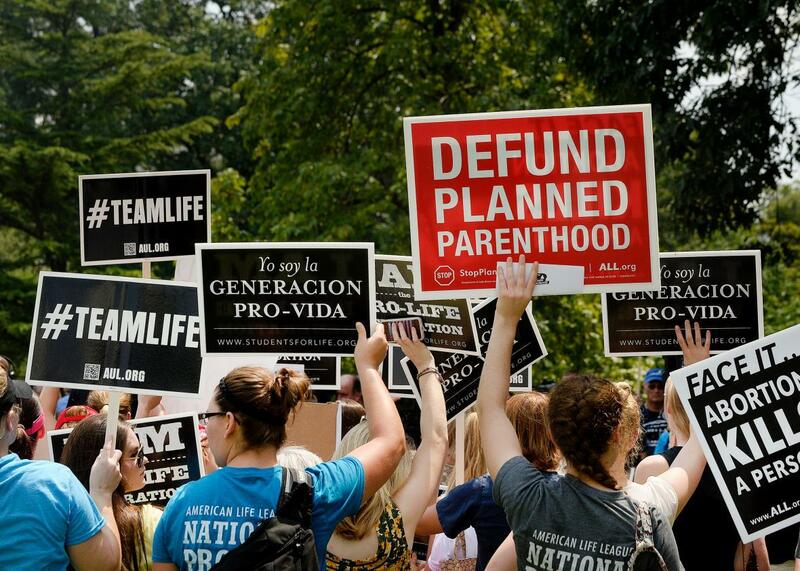 Anti-abortion activists hold a rally opposing federal funding for Planned Parenthood in July 2015, following the release of the Center for Medical Progress’ videos. As Slate’s Future Tense has thoroughly documented, hacks targeting everything from the Census Bureau to the Office of Personnel Management to Sony have all occurred within the last year, putting millions of people at risk for identity theft, fraud, and blackmail. In this landscape, the attack on Planned Parenthood’s database might blend in with an overall trend, but it shouldn’t. While the others relied on a large-scale attack to make their impact, this hack targets a selected group—only a few hundred workers—and is all the more frightening for it. By releasing the information of a relatively small number of employees, the hackers are enabling and encouraging the harassment of Planned Parenthood workers. While the information from the hack is currently being held on a private website, the hackers told the Daily Dot they will release decrypted internal emails soon. Concurrently, Planned Parenthood has reached out to the FBI and U.S. Justice Department to address the security situation. Whether 3301 is tied to CMP or was just inspired by the videos remains to be seen. What is clear is this all-out campaign against Planned Parenthood could have real and dangerous effects.